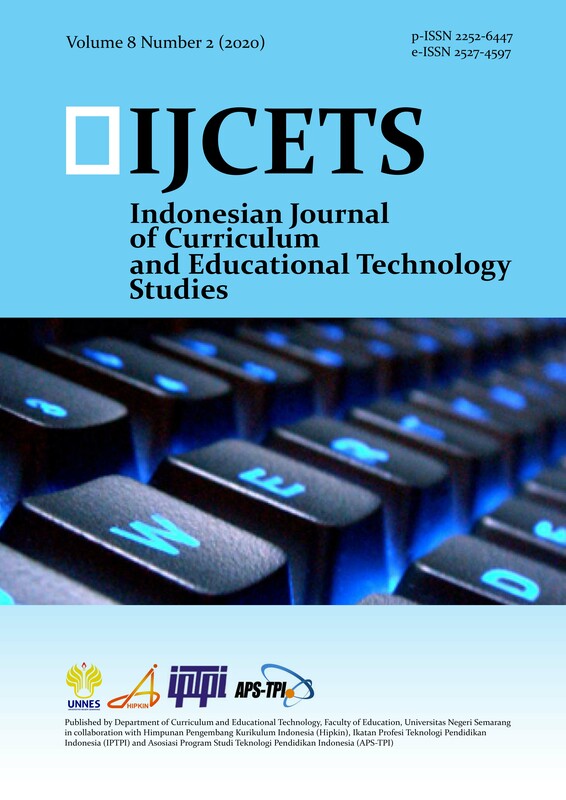 Indonesian Journal of Curriculum and Educational Technology Studies (IJCETS) publish two major themes on educational technology and curriculum studies. Some sub-themes eligible for IJCETS are below. Indonesian Journal of Curriculum and Educational Technology Studies published twice in a year, in April and November. The Indonesian Journal of Curriculum and Educational Technology Studies (IJCETS) uses internal and external review procedures. The procedure is below.